The 2018 Hyundai Elantra is here, and while the automaker’s mid-size family sedan hasn’t been completely redesigned there are a few aspects of its recent refresh that are definitely worth discussing. The Elantra has moved past its challenger status and now sells at or over 200,000 examples every year, although it’s starting to show the same battle scars as other sedans as a result of growing consumer interest in SUVs. The Elantra might not have the cachet of rivals like the Toyota Corolla or the Honda Civic, but it’s hard to argue that its not a solid a choice as either of those two models. I had the chance to spend a week or so behind the wheel of the Elantra 1.6 TGDI Elite DCT two months or so post to its Mzansi debut, which confirmed that the updated car is just as worthy of a look as the vehicle it replaces. Check out these 5 things you need to know about the 2018 Hyundai Elantra. Is there a sedan out there that’s changed it’s face more dramatically over the course of the past five years than the Hyundai Elantra? After walking back from its style-forward looks in 2014 by way of a blander, yet not unattractive redesign, the 2018 edition of the Elantra once again moves into edgier territory, in more ways than one. Up front the car is all creases and grille, with bold lines carving prominent triangles out of the lower air dam for the fog light housings and new headlights occupying a narrower space on either side of the more prominent chain-link grille opening. The rear of the car is also busier, although not to its detriment, and Hyundai has blown-up the Elantra’s badging so that everyone around you knows what you’re driving. I found the new look to be more handsome than the car it replaces, which really wasted a lot of the design capital that Hyundai had built with the Elantra that preceded it. It’s good to see the company once again making style a prominent part of the sedan’s identity without carrying things too far into caricature. Like a number of its mid-size sedan competitors – though not all – the 2018 Hyundai Elantra is offered exclusively with four-cylinder engine options. The base 1.6 Executive (manual) is good for 94 kW at 6 300 rpm and 154 Nm at 4 850 rpm in the Elantra 1.6 Executive manual and 1.6 Executive Elite automatic; the 1 999 cc Nu MPI Atkinson four-cylinder engine producing a peak 115 kW at 6 200 rpm and 195 Nm of torque at 4 500 rpm in the Elantra 2.0 Elite automatic; and the turbocharged 1 591 cc four-cylinder engine in the Elantra 1.6 TGDI Elite DCT Sport producing 150 kW at 6 000 rpm and 265 Nm torque from 1 500 to 4 500 rpm. The 2018 Hyundai Elantra offers standard blind spot monitoring across all trim levels for the very first time. On top of that you can also equip the car with a lane departure warning and lane keeping assist feature, as well as automatic forward braking with pedestrian detection, automated high beam headlights, and adaptive headlights that turn with the steering wheel to better illuminate the path through a corner. While this equipment is increasingly available on a wide range of affordable cars, it’s still worth pointing out that there was once a time when this kind of advanced equipment was limited to high-dollar luxury cars. 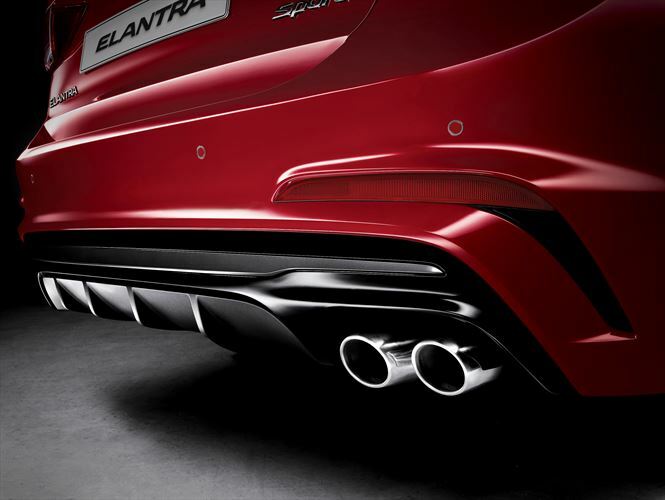 Hiding underneath the 2018 Hyundai Elantra’s new skin are a series of minor suspension tweaks intended to improve steering response, reduce body roll, and add small amount of extra comfort to the daily commute. The end result is a car that’s pleasing to drive without adding an unnecessary harshness or stiff-legged antics on rough pavement, of which there was plenty during my test drive. Inside the Sonata the changes aren’t as dramatic as what’s been accomplished on the exterior, but that’s ok because there wasn’t much need to mess with what was already a good thing. Highlights include new vents and knobs for the heating and cooling controls, and a different shift knob, and Apple CarPlay, Android Auto. Aside from the eight-speed automatic for its most powerful turbo motor and its nouveau visage, the 2018 Hyundai Elantra doesn’t represent a significant leap forward for the sedan. That’s by design, really, because a mid-cycle refresh like this one isn’t intended to move the cheese by more than a few inches, but rather keep mice interested in visiting the trap. In that sense, it’s a success: potential customers who might have stayed away from last year’s model because of its blander styling may well be enticed by the new looks of the 2018 Elantra, but anyone who purchased a ’17 model won’t feel like they missed out on the next big thing. 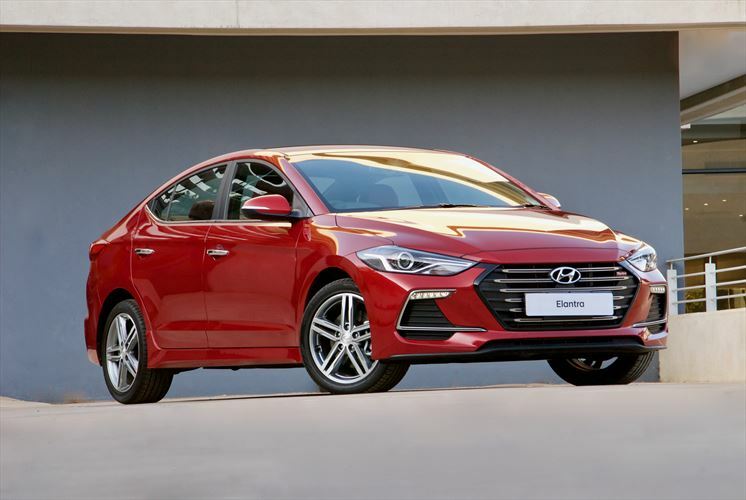 The recommended retail prices of the new Elantra range are; Elantra 1.6 Executive (manual) R299 900, Elantra 1.6 Executive (auto) R314 900, Elantra 2.0 Elite (auto) R349 900, Elantra 1.6 TGDI Elite DCT R399 900.